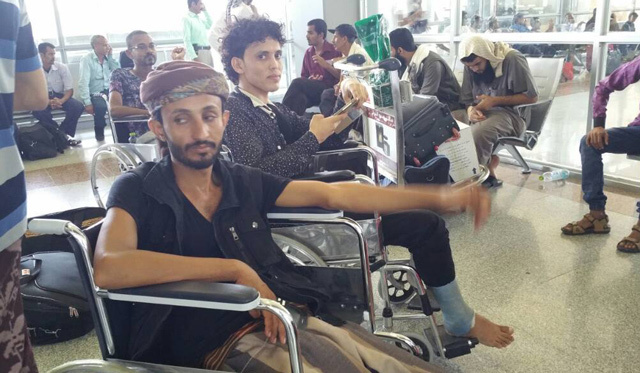 Ninety Yemenis who were injured in the war launched by the Houthi militias against the Yemeni people left the interim capital Aden for India on Thursday to receive medical care at the expense of the United Arab Emirates (UAE). The humanitarian medical gesture is in implementation of the directives given by President His Highness Sheikh Khalifa bin Zayed Al Nahyan, and His Highness Sheikh Mohamed bin Zayed Al Nahyan, Crown Prince of Abu Dhabi and Deputy Supreme Commander of the UAE Armed Forces, under the supervision of H.H. Sheikh Mansour bin Zayed Al Nahyan, Deputy Prime Minister and Minister of Presidential Affairs and Chairman of Khalifa bin Zayed Foundation. The Foundation is bearing the treatment costs as part of the UAE's constant efforts to ease the suffering of the Yemeni people, and stand with them in their difficult times. Earlier, the Foundation footed the bill for treatment of 90 Yemenis who were treated in Indian hospitals. 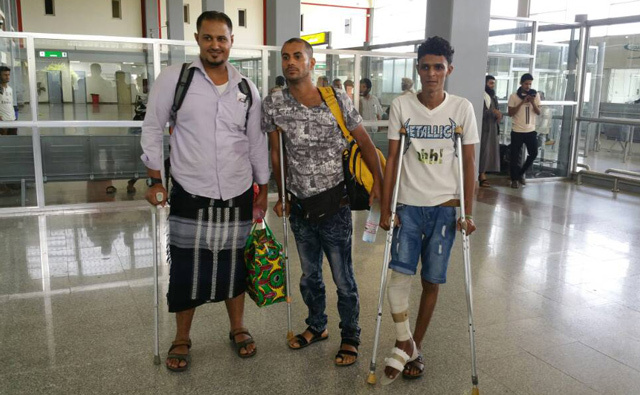 They had sustained injuries in attacks against them by the Houthi militias. It has also provide all means to transport the wounded to approved hospitals immediately. The UAE has so far paid for the treatment of 300 injured Yemenis and for their escorts as part of its assistance programme to Yemen. The UAE has pledged to treat 1,500 wounded Yemenis at hospitals in Jordan, Sudan and India, and has sent relief and medical convoys to Yemen. The humanitarian and health conditions in Yemen has reached catastrophic proportions because of the Houthis' refusal to give access to humanitarian and medical supplies for the Yemenis in need, a situation that has aggravated their suffering. Since the eruption of the Yemeni crisis, the UAE has offered more than AED2 billion in humanitarian, relief, food and medical assistance.